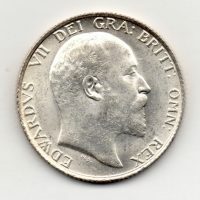 1902 Half Crown, Matt Proof, Edward VII, reverse, Crowned shield, date below. 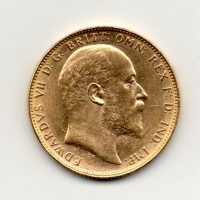 1908 Sovereign, Edward VII, Perth mint, reverse, St. George and dragon, extremely fine. 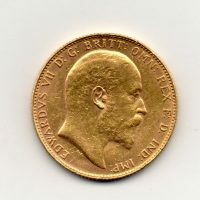 1904 Sovereign, Edward VII, Perth mint, reverse, St. George and dragon, good extremely fine. 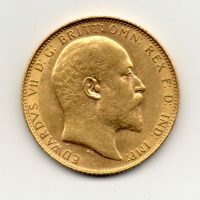 1909 Sovereign, Edward VII, reverse, St. George and dragon, extremely fine. 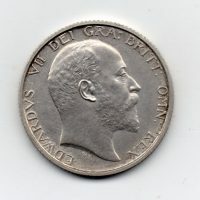 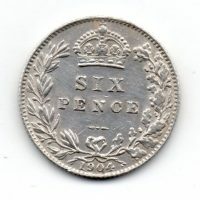 1904 Sixpence, Edward VII bare head, reverse, crowned value, gef/virtually unc, small toning spot on obverse, scarce. 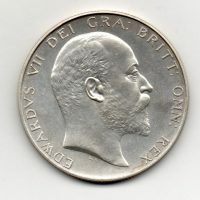 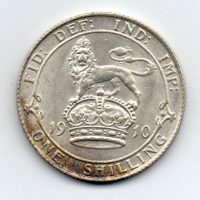 1910 Shilling, Edward VII bare head, reverse, Lion on crown, uncirculated. 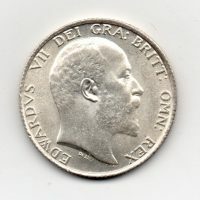 1906 Shilling, Edward VII bare head, reverse, Lion on crown, uncirculated. 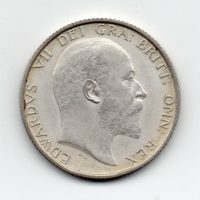 1902 Shilling, Edward VII bare head, reverse, Lion on crown, uncirculated.